Yo Soy Victor Sanchez Sindicalista de la union 1199 en New York, por favor quiero que me saluden ha todos los sindicalistas de la Republica Dominica. Gracias. Advertising: . http://pokaz360.ru/ продам земельный участок 15 соток купить. , Работа Утепление фасада в Калуге 40.st-nv.ru. , Аренда 1с с арендой www.infocloud.su/oblachnyy-servis-1c/. At LogFm.com you can listen to any of the 45,000 radio stations online. We have made it easy for you to find your favorite radio, listen to the music you like, find the best new songs, listen to the latest news, etc. Simply type the station name in the search box and enjoy your choice. Listen to the radio online at LogFm.com. Our E-mail: info@logfm.com. 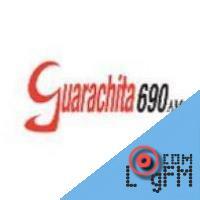 Live Radio Guarachita. Rock and pop music, to listen to the latest news online.All rights reserved. 2009-2019 © LogFm.com.